We all are well aware of the lifelong Pak-China friendship, and to make this friendship everlasting and strong these two countries have opened their doors to each other. The two countries may have started their relationship on common disagreement with India but now it has become much more than just that. Though in this bond Pakistan seems like the beneficiary and seems to be getting more out of it than China, what we do not see is that the CPEC project is providing China with an open door to trade with the rest of the world at ease. Pakistan and China have an “iron-shield” agreement and acceptance amongst them, and it has been reserved for years. With time it is enhancing and becoming more secure. The CPEC project aims to make trade easier and open not only between the two countries but also for other countries. The route starts from China-Pakistan border at North and ends in the South at Gwadar port. This is the main route, as it passes through different regions of the country, other roads join up to the main trade route. This will be a massive opportunity for China to connect to its consumers in Europe, Asia, and the rest of the world. While the China-Pakistan economic corridor has made strong promises to prosper Pakistan’s economic condition, it also ensures to boost-up the tourism and travel industry of Pakistan. The CPEC project is mainly based on the travel and transportation industry, even in the construction phase, this project requires a huge amount of material and machinery shipped, then moved to the construction area. This clearly shows the great use of a different mode of travel. For example, this project will comprise of constructing new highways, a 1,800-kilometer railway line, along with a system of oil pipelines to link China’s western Xinjiang region, Kashgar with the Southern region of Pakistan, Gwadar port. Moreover, it also comprises an airport at the Gwadar port, along with a sequence of dry ports, energy plants, exceptional economic zones, as well as other infrastructure. An estimate of US$ 30 billion will be spent on the development and construction of infrastructure and energy projects. The free trade agreement between Pakistan and China was just the beginning of utilizing the travel industry resources to its maximum level, the main action begins with the development of the corridor. Once it is completed, the free movement will give a drastic increase in imports and exports to the country. The new free route means more import and export, which will require more efficient vehicles. This will directly impact fuel consumption and may also result in a decrease in fuel prices. China has saved the sinking credit ship of Pakistan. During the last month of 2016, Moody’s and S&P declared Pakistan’s credit rating in the B class and it stands there with a stable outlook. Though China has not funded the debts of Pakistan directly, the CPEC project has shown the world a promising future of the country and it has made other countries to invest in Pakistan. 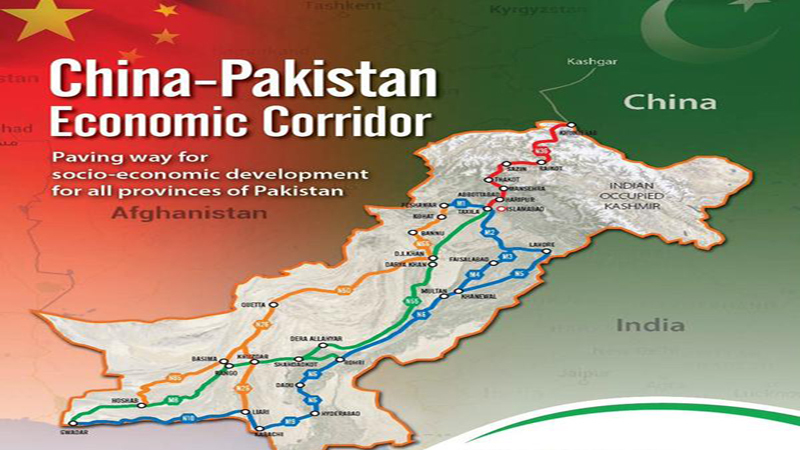 According to the first route, the CPEC will start from Balochistan through Dera Ismail Khan to Zhob, Quetta, Kalat, Qila Saifullah, Turbet, Punjgur, along Gwadar. This will be the Western region route. Then comes the second route, from Dera Ismail Khan to Dera Ghazi Khan moving towards Dera Murad Jamali, Khuzdar, Turbet, Punjgur, ending at Gwadar. This will be the central region route. Then there is the Eastern route, it goes through the Lahore highway via Baluchistan highway ending at Gwadar. Hence going along the way CPEC will be creating opportunities for development and utilization infrastructure. For the Central Asian Republics Gwadar port is the shortest and cost-effective route for trade, they will automatically adapt this mean of trade. CPEC is providing a safe and secure route within Pakistan while linking all the provinces with it, it is also encouraging travelers and tourist to visit the land of beauty. This route will give an easy and direct route to the heavenly northern region of Pakistan. Hence opening doors to economic activities will also enhance the tourism industry of Pakistan. The CPEC is a great opportunity for both countries and as both are equal partners in its development, in the same way, China and Pakistan both will be benefited from it equally. This project will resolve all energy and economic crisis of Pakistan, one example is the improvement in Pakistan’s credit rating. The counter of this project is Belt and Road project which has a missing link due to India’s noncooperation.